Our Preston Valley is at 12817 Preston Road, Suite 121, Dallas, TX 7S07S. Our Preston Valley location is our only Dallas location . It is located one exit from the Galleria Mall in the Preston Valley Shopping center with Chili’s, Spring Creek Barbecue and Tuesday Morning. Since this is our only Dallas location it is busy with client referrals coming in every day. The staff at Preston Valley have lab coats wit h a logo that says ‘We Care!’ The staff here have accelerated weight loss results because they care. The manager works hand in hand with her staff to make sure their clients have accelerated weight loss and have long term results so that their clients are Slim4Life. It is detrimental to lose weight and the gain it back. They want t heir clients to lose their weight and keep it off long term . They work hand in hand with their clients to accomplish this. 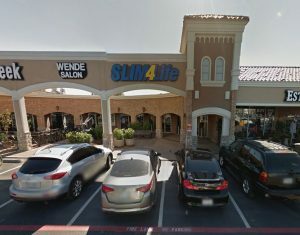 Make an appointment at our Dallas weight loss center today!